There is one basic problem that all travelers to Nepal face: How can you do it all? The issue with this beautiful country is that there is simply too much to do! From trekking in the high Himalayas to safari excursions in the Terai region, from temple visits to adventurous day tours, there are infinite activities to fill your time in Nepal with. The ethnically and geographically diverse country occupies the space of transition between the highest mountain range in the world and the Gangetic plains. Experience Nepal to the fullest with our tours. Interested in adrenaline-pumping adventure? Try mountain biking in Upper Mustang or Paragliding in Pokhara. Want to see Nepali culture by participating in a festival? Join us for Holi and get painted while wandering the medieval streets of Kathmandu Durbar Square. Or, join the Buddhist Mani Rimdu Festival at Tengboche Monastery in the Everest region. For the foodies out there, we offer a tour of Kathmandu where try local tasty delicacies and drinks at some authentic hole-in-the-wall spots. Over 60 ethnic groups exist in Nepal and over 120 languages are spoken. It is highly recommended to step out of Thamel and learn about these diverse cultures and have a meaningful experience with them. We offer a variety of tours that allow you to do this, including a village homestay, where you live with a family for as long as you would like and become immersed in their way of life. Even the major touristy spots (i.e. UNESCO World Heritage sites) are must-see destinations. Though most visitors come here on any given trip to Nepal, it is the personal experience that makes it special. Our top-notch guides will give you all the knowledge you could ask for at each place, to make your tour as valuable as possible. Truly, there is something for everyone in Nepal. You do not have to be a world-class trekker or even a trekker at all have the time of your life in this country. Looking to spend some extra cash for a more comfortable, luxurious trip? We arrange for that. Or, if you are a budget traveler, looking to make the most of your budget, we will you with that as well! Take note that many of our itineraries are customizable. We strive to fit your needs and desires as best we can into our recommended day-to-day schedules. 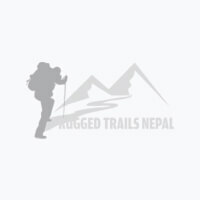 Our tours are unique and fresh, and we are always thinking of the most meaningful ways to experience Nepal. So, check out our tours below and do not hesitate to ask questions if you have any!